While the family and I were away in partly-sunny, but warmer than home, Arizona for Christmas, it snowed about a foot and a half at home! 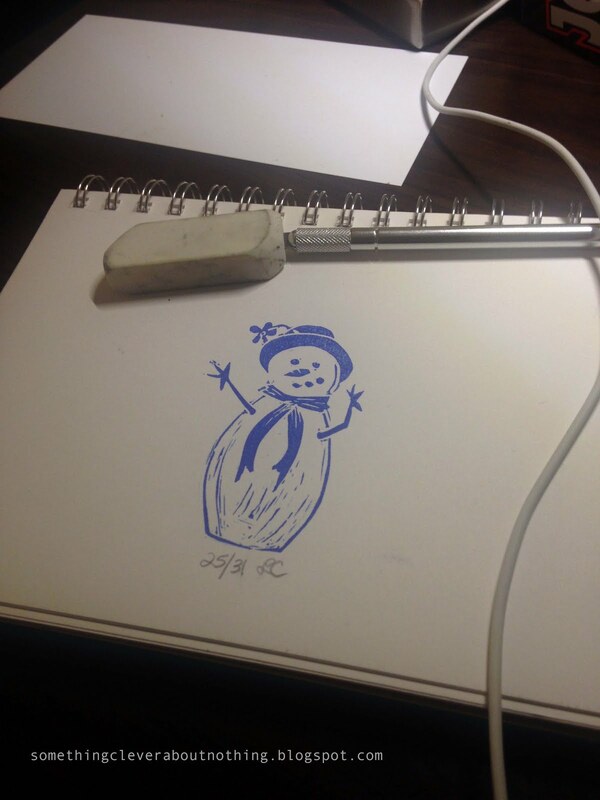 The photos of snow in my Facebook feed inspired me to create a snowman for my Christmas stamp. I might need to make him a few friends. Lisa, Cute! Yes, he needs some friends.